When we were at the Power of Breath Luncheon we were introduced to a new jewelry line that we instantly fell in love with! 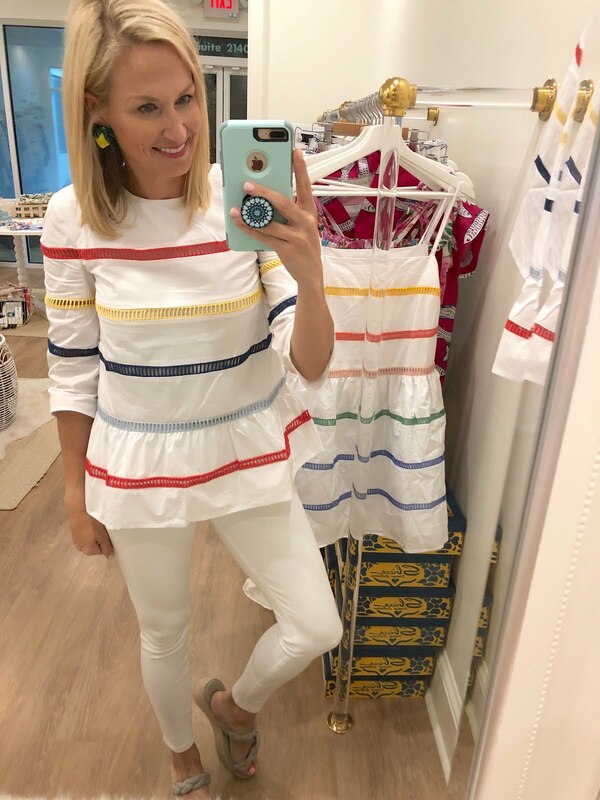 Keep Collective is under the Stella and Dot umbrella and their stuff is SO cute. We were both shocked that we'd never heard of it before and immediately feel in love with the concept and all of their pieces. Keep Collective is personalized jewelry that tells a story and is super meaningful while still being very stylish. There are so many different options, but we love the leather wrap bracelets that you can add charms to and also love that many of them can be engraved with just about anything you want to tell your story! I (Carrie Beth) picked a baseball themed one and then got a few other bracelets of theirs to complete the stack. I (Jen) got a special message engraved on one of the leather bands and then picked coordinating bracelets to go along with it! We both loved this brand so much that we decided to host a little party and introduce all of our friends to it, too! We had a little party on Monday and had the best time! 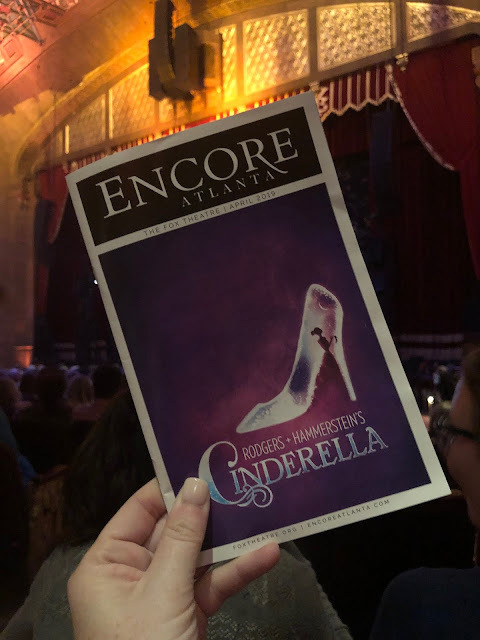 It was the perfect way to spend our Monday and made getting back into the swing of things after Easter weekend much more fun! Pretty pink plates, greenery and Chick-fil-a chicken minis...it doesn't get much better than that. Well, maybe it does because we also had champagne and cotton candy! 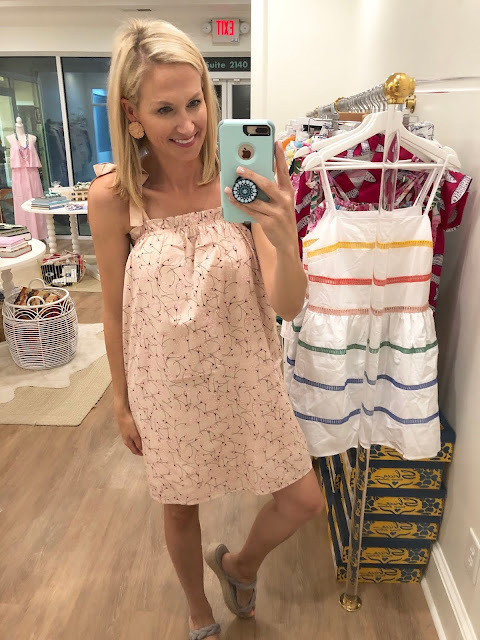 Our new friend, Brandy, was so sweet to come over and share all of the spring pieces with us and our friends. And different ways to mix and match the charms! It was so much fun to see what everyone decided to buy and all of the different ideas. We loved this idea for Mother's Day gifts. A blush pink quilted band with kids' or grandkids' birth dates and birthstones! They have a design tool on their website where you can see what your items will look like before you buy and it really helps to be able to move things around and get it just the way you like! Click HERE to play around with it and design your own. We had fun with it and are planning to order some for teachers gifts! We also love looking at the Inspiration Gallery to see how others have put together their bracelets to get new ideas. The possibilities are endless and it's so much fun to play around with all the different items to create something unique and special. With Mother's Day and the end of school right around the corner love this idea for gifts or even just to spoil yourself! 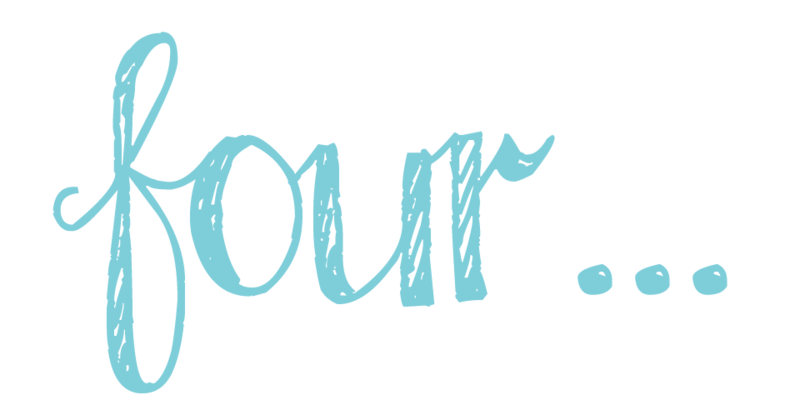 We have a party open right now, so if you want to shop for something click HERE. The best part is that these items ship super quick so you will have it in time for any of those upcoming holidays and events. If you have any questions you can email us or we can put you in contact our friend, Brandy, and she can help you out! 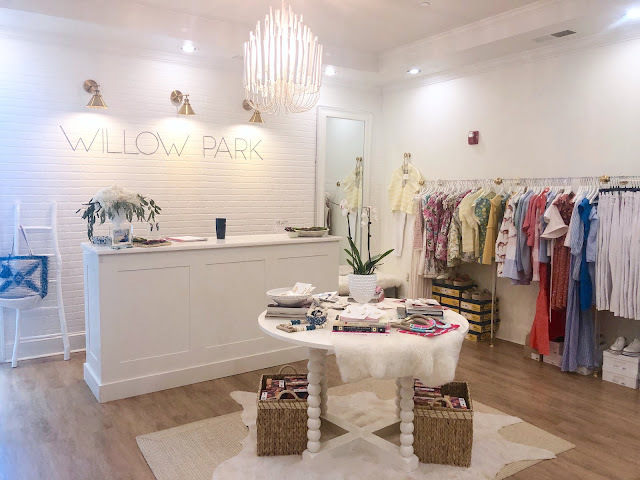 If you've been on Instagram at all over the weekend you might have seen some of gorgeous spring and summer finds from Willow Park Boutique that I tired on last week. Every time I go in they somehow seem to outdo themselves and have even more gorgeous pieces than before. This time of year I feel like there are always tons of events taking place. Weddings, baby showers, end of year parties, Derby parties...so many things! I love having a few pretty dresses hanging in my closet so that I have options for all the events! Willow Park Boutique has blown me away with their beautiful section of dresses for spring and summer. I know they will be getting more new arrivals, but these were all SO good. I absolutely feel in love with this dress! 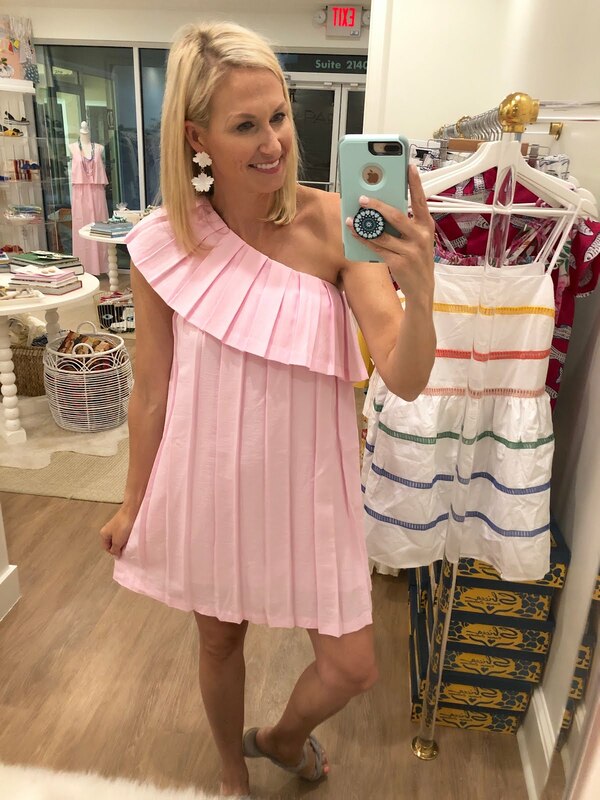 The one shoulder, the pleats, the pretty pink... I loved it all! I came home with this one because I just knew if I didn't I would regret it when they sell out. And believe me, it will sell out quick! I also loved this pink maxi dress! It's lined to the knees so you don't have to worry about anything showing through and the overlay at the top gives it a feminine detail. It also comes in white, which would be awesome for brides to wear to showers or rehearsal dinners. I wore it with this amazing beaded necklace than can be looped two or three times depending on what look you are going for. This dress just screams chic, glamorous and style. The second I put it on I felt like some kind of Greek goddess. The amazing thing with this is that is machine washable. Yes, you read that correctly! This fabulous fabric that feels like there is no way you could wash it can be washed at home! It also comes in black, navy and hot pink which I think would be so fun for a beach trip! 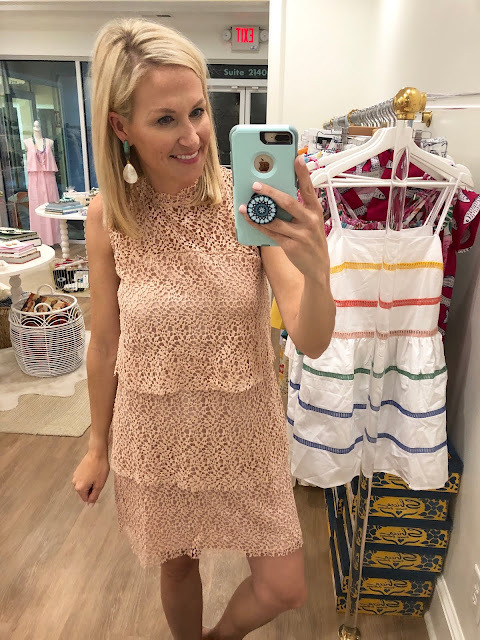 This beautiful blush dress is a crochet tiered dress that is so flattering. It isn't form fitting, but really gives you great shape. It looks so classy on and just made me feel beautiful! 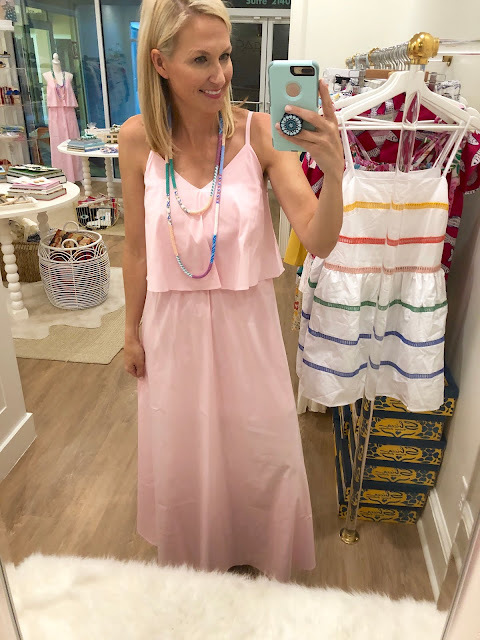 This would be perfect for wearing to a spring or summer wedding! 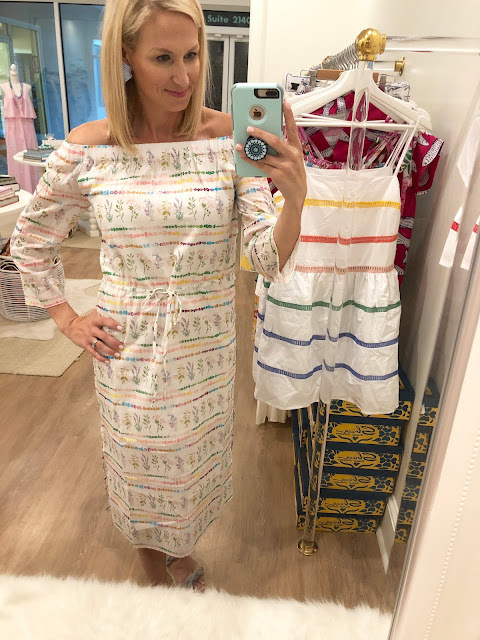 This pretty off the shoulder dress has the most beautiful floral print. It almost looks like watercolor and is so feminine. It's a midi length with slits up both sides. The fabric is very lightweight so it would be great for warm weather ahead. The off-the-shoulder part is elastic and stays put so you don't have to worry about fussing with it and it has a tie at the waist that can be pulled as tight or as loose as you would like to give the dress more shape. 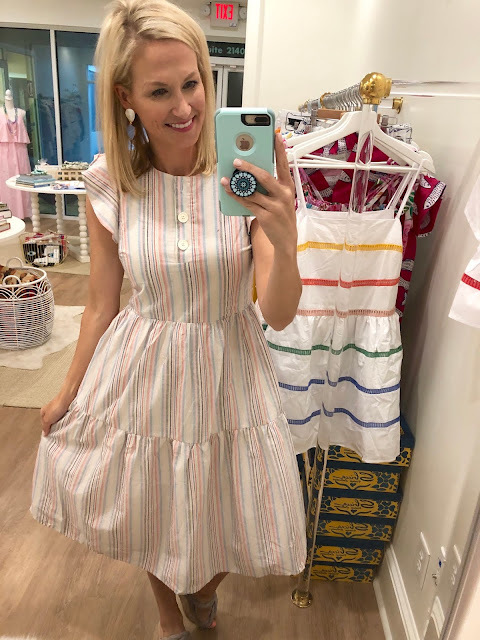 This pretty tiered dress has darling flutter sleeves and functional button details. It's a really pretty multicolored stripe in pastels. This is one of those dresses that is easy to ear and feels so comfortable, but instantly makes you feel put together. It would be cute with flat sandals for a more casual look or can be dressed up with wedges. I love it with these pearl drop earrings! I put this dress on and DID NOT want to take it off. The lining literally felt like butter against my skin. SO very soft and silky. It has functional ties at at the shoulder so it can be adjusted as tight or loose as needed. 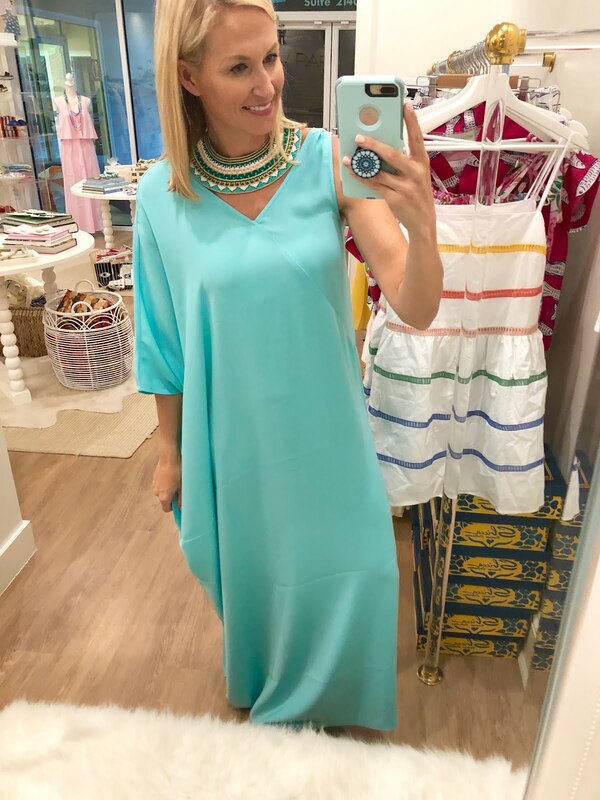 It is very loose fitting (so you don't have to worry about sucking in!) and felt breezy so would be great for hot days! The fabric is a pretty blush with a pink floral print. I wore it with the blush beaded poppy earrings that matched perfectly! This top was peplum perfection! I feel like a peplum style looks good on all body types and this is one of those tops that can be worn with so many different things! I loved it with the white Spanx, but would also wear this with denim shorts for a more casual look. I loved the multicolored stripes! You can see the dress version of this hanging behind me! 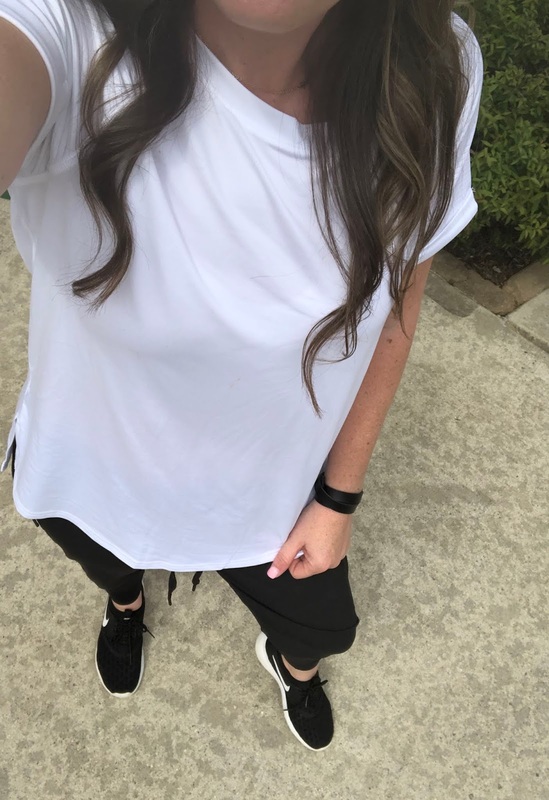 This is one of those tops that you can just throw on and instantly look put together, even though it takes zero effort. I wore it with their beaded lemon earrings which are SO sweet for this time of year and a fun pop of color! The last top I tried on was the same material as the off-the-shoulder dress above. The pretty pastel floral print is so perfect for spring. This top is longer, which I love to cover the booty, and has functional ties at the shoulders. 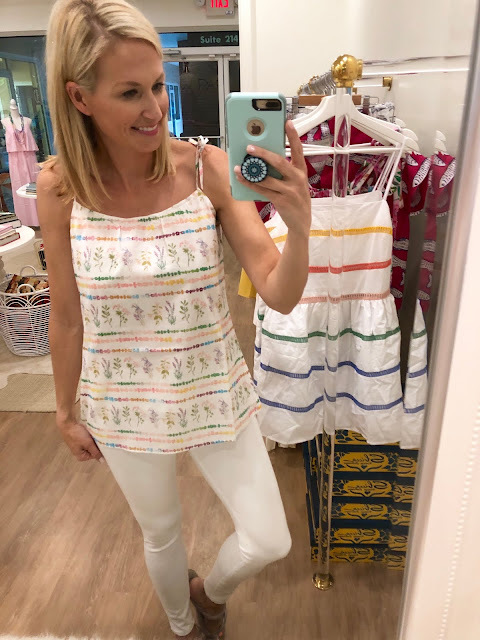 The fabric is super soft and lightweight, so perfect for hot days! I feel like the minute spring thoughts pop into people's heads, these little marshmallow Peeps emerge from hibernation. I'm not the biggest fan, but it wouldn't be Easter without a Peep or to making an appearance in some sort of fashion. I'm more of a giant Reese's Bunny sort of girl. But this year we're diving in tastebuds first to get on board the Peep train. But in a much yummier way of course. While we don't overly enjoy eating these sugary confections solo, we couldn't quite pass up the challenge to incorporate them some how into a recipe. And well...you know our cooking skills. But cocktails? We know how to mix a good drink. Or at least we're willing to take one for the team, and see it as our blogger duty to mix up some drinks and be the official taste testers. The results after an afternoon of "research" was this delicious little cocktail - The Boozy Bunny. It's marshmallow-y goodness and spring all rolled into one chilled glass. 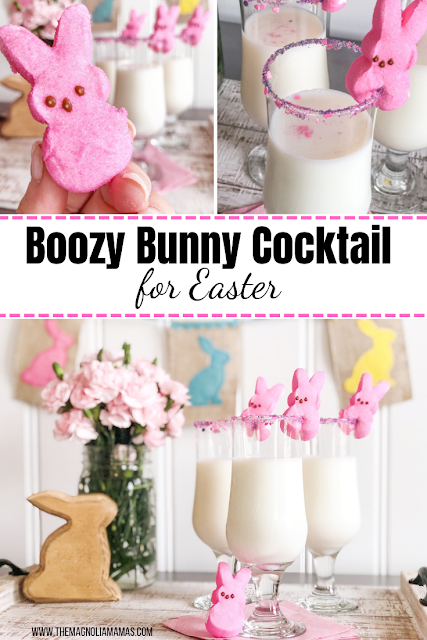 Grab the recipe for the Boozy Bunny Cocktail over on Savvy Sassy Moms, and make your egg hunt this weekend a little more interesting. We are so excited about this quick giveaway we have for you guys! We were given the opportunity to see the Georgia Swarm Lacrosse team play a few months ago, and over Spring Break we were invited back. We had such a blast at our first game, we couldn't wait to go back. The Swarm put on several theme nights throughout the season and at this particular game it was "Ladies Night" complete with a special diamond necklace drop. The game was highly entertaining, energetic, and exciting because the Swarm took home a W and already have their sights set on the Playoffs where they hope to bring the trophy back home to Atlanta- again! It was an amazing game, and an experience our kids will remember for a long time. They love the atmosphere of the Swarm games. From the constant music pumping through the stadium, to the fast paced game filled with unbelievably athletic players, and the chance to do the Swarm celebration dance every few minutes (because our home team knows how to score some goals) - the Swarm games are now one of their top sporting event requests. We have a blast and we chatted with our friends at the Swarm to cook up a little surprise for you. We teamed up for a fun little giveaway so that you guys can join in all the lacrosse fun too! We're giving away to one lucky winner the chance to attend the Fan Appreciation game on Saturday, April 20th. The winner will receive 4 lower level tickets and 4 special swag bags from the team. Enter below and the winner will be chosen at random and announced on Wednesday, April 17th. Winner will have 24 hours to claim prize or a new winner will be chosen! For an additional chance to win head over to THIS POST on Instagram. Good luck everyone! 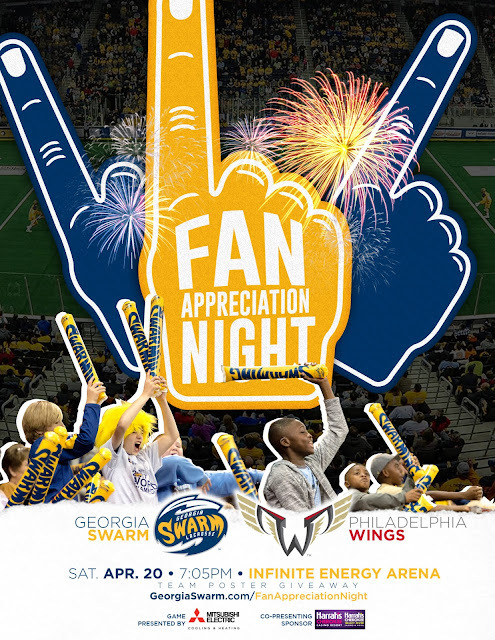 Who will you bring with you to #StingCity to cheer on the Georgia Swarm Lacrosse team on April 20th? As moms we learned long ago that in order to survive you must carry all the things. It's as if there is some unwritten law that after giving birth you simultaneously become a master of preparedness and organization. Overnight you go from carrying around an adorable little clutch to a large multi-strapped tote that rivals the size of a small carry-on, and lugging around its weight could also count as your daily Cross Fit workout. The contents of this mom bag have you on the ready for any situation your tiny little tot might throw at you - and then some. It's magical existence would make even Macgyver jealous. But then again, we're moms and magic is our thing. As two moms to six kids, we have some years on us to revise that "mom bag" down to the bare necessities. 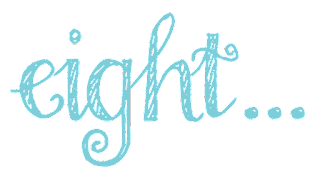 By now we all know to carry with us diapers, wipes, and everything our kids could possibly want or need during their non-sleeping hours, but that's not what we're talking about. 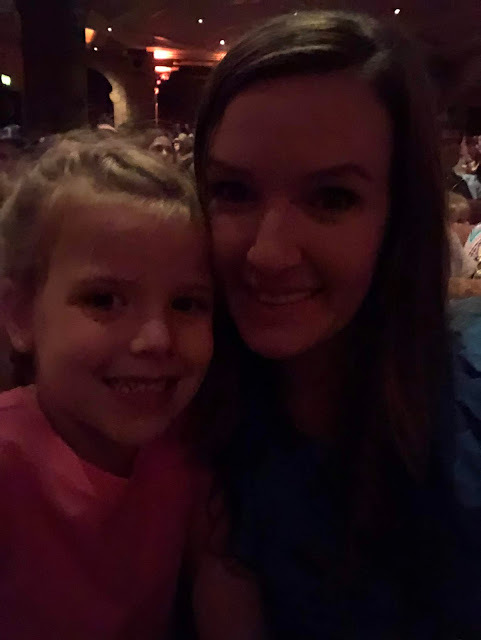 Today we are going to chat about our Mom Bag Must Haves - the things that as moms we need the most. 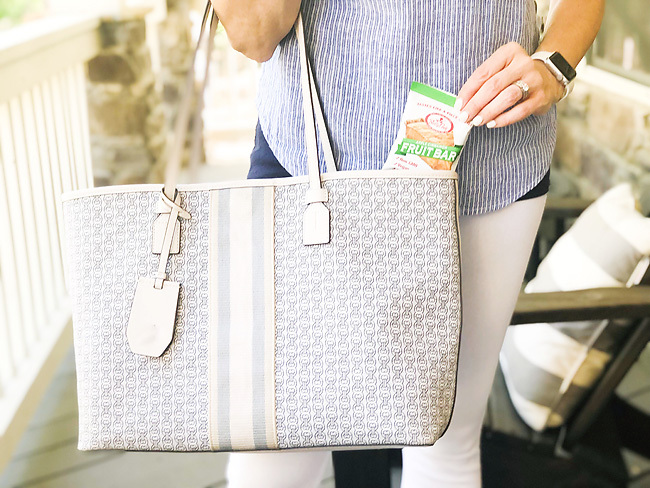 Just like you pack snacks for your kids, your mom bag needs a snack or two for yourself too! And we don't mean the leftover cheesy crackers your child didn't eat. We mean one just. for. you. One that hasn't been pre-tasted and can be claimed as all your own. 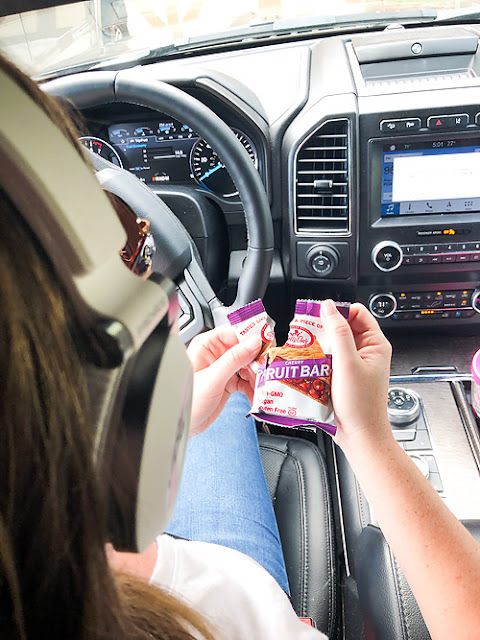 Pack something in your bag that is delicious, filling or can be seen as a little reward for making carpool on time that day. When the only meal you might have time for that day comes out of a package - make it a good one. 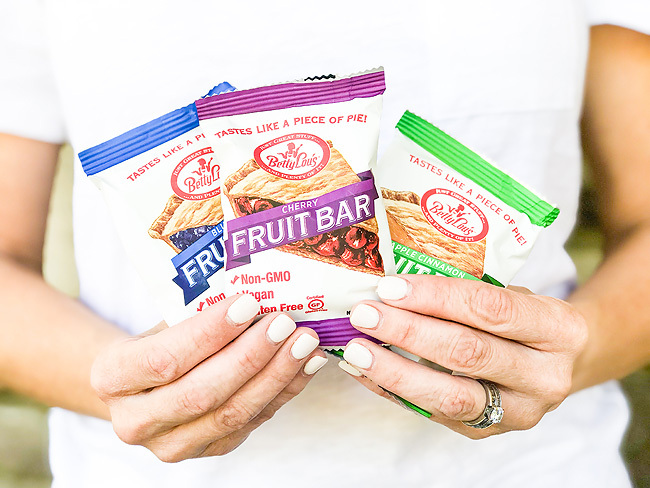 Our current favorite snacks are these Betty Lou's Fruit Bars. These bars have been gracing our mom bags for the last few weeks and they are oh so yummy. They taste just like pie, but without all the guilt. 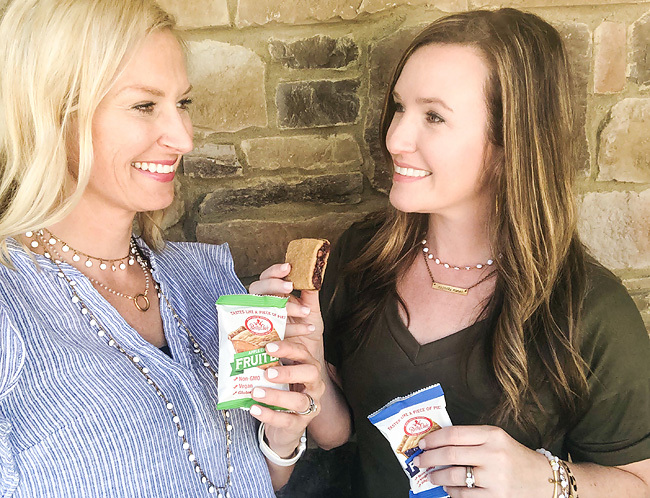 The Betty Lou's Fruit Bars are non-GMO, vegan, and all the sugars are sourced from natural fruit and fruit juices. 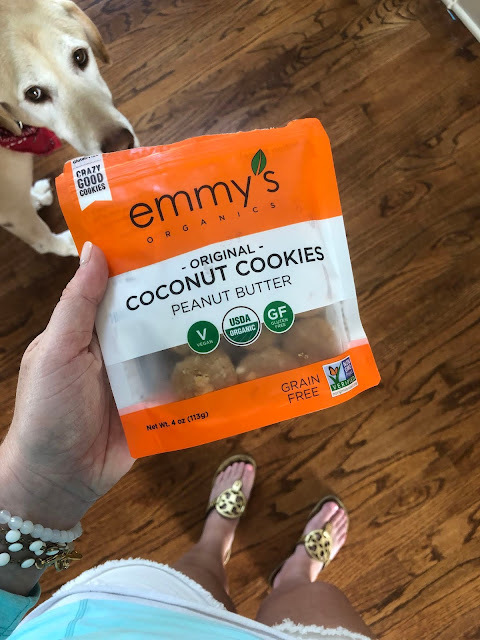 We also love that they are free of the top 8 allergens identified by the FDA. 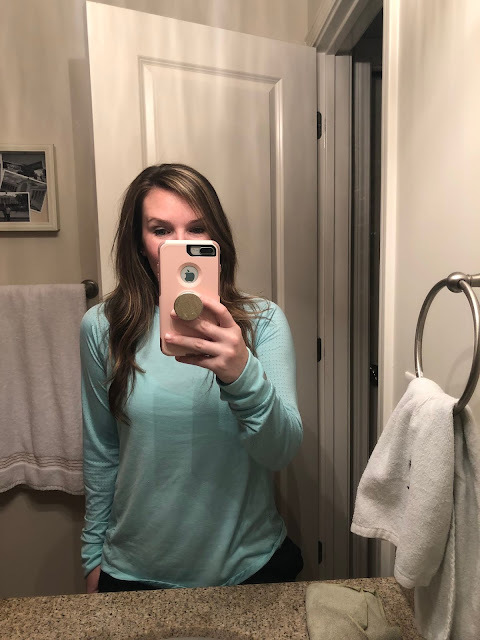 As moms who have dealt with food allergies, and often find ourselves in places where certain ingredients are prohibited (i.e. preschool), it's nice to know our favorite snack can come along for the ride. Healthy dessert packaged for on-the-go goodness - we are so in! 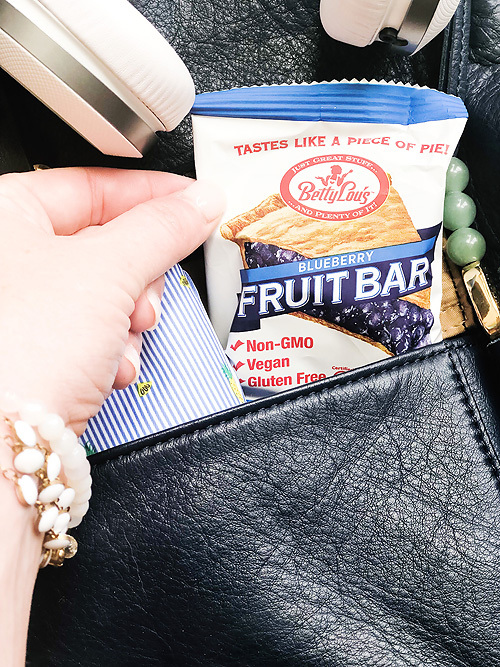 We found the Betty Lou's Fruit Bars on the breakfast aisle at Walmart, but you can also find them at Betty Lou's Inc. They come in four great flavors - Apple Cinnamon, Blueberry, Cherry & Blackberry. The last few times we've purchased them we've just added them to our Walmart Curbside Grocery Pick-Up order. 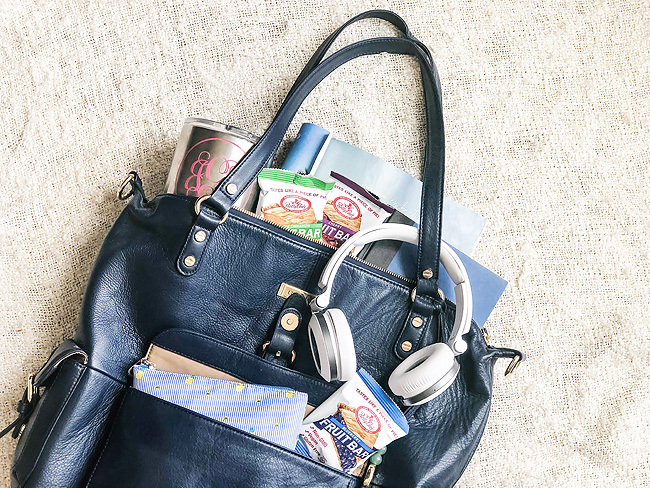 Because pro-moms know snacks in your mom bag taste even better when you don't actually have to shop for those snacks. Trust us. A water bottle or to-go drink cup is a biggie for us. We carry one where every we go, and always have one in our mom bag. Sure there's the need to stay hydrated to live. There's also the whole energy boost you get from consuming the right amount of water each day (and let's be honest we need all the help we can get to keep up). 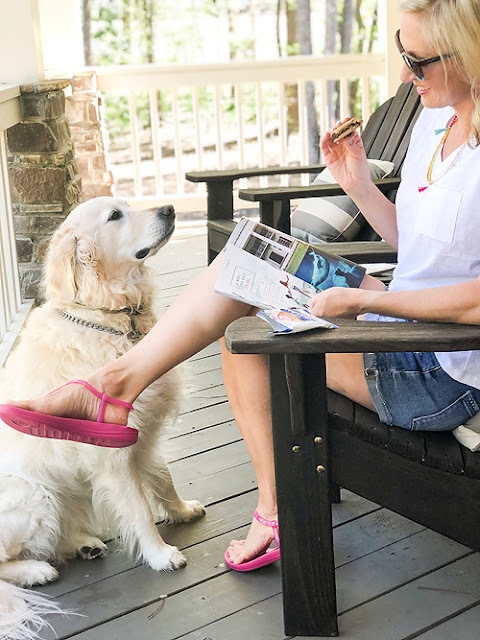 Or we simply need a little something on hand to wash down when we've enjoyed a Betty Lou's bar (or three) during our snack break. But it's a little more superficial than all those reasons too. Well hydrated skin looks younger and less tired. It's proven fact. And as moms who haven't slept through the night since birth (we're kidding...sort of. 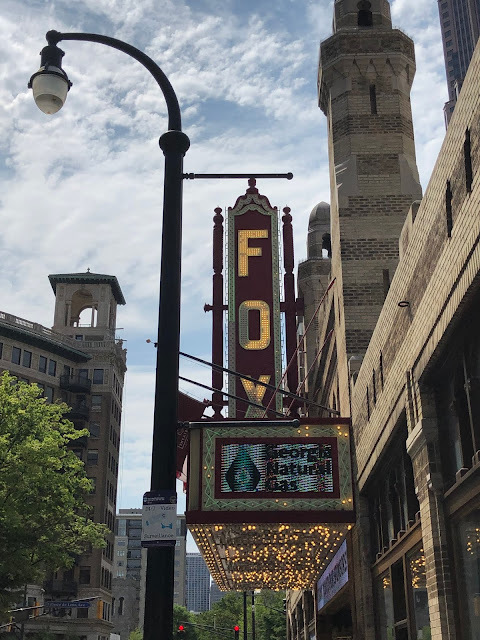 ), give us all the water. One of our big mom bag must haves is reading materials. And here's the kicker - reading material for enjoyment. Life is hectic, and as moms its often tough to find free time between the hours of 6a.m. and 9p.m. 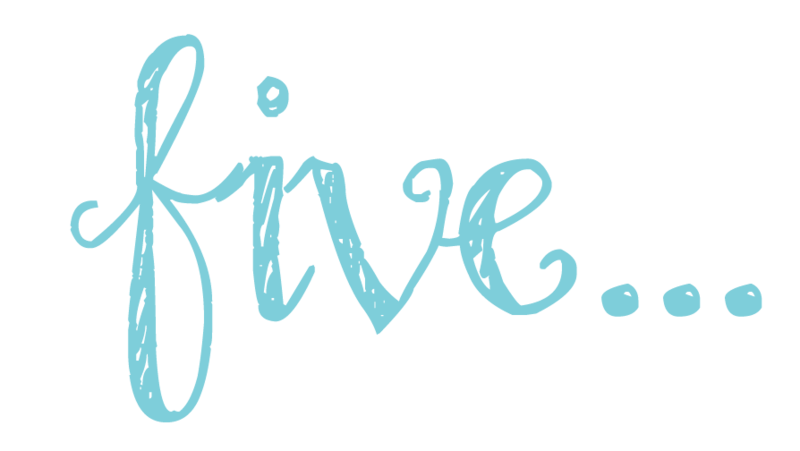 We used to get discouraged by this or think that if we had a free five or ten minutes we had to spend it catching up on emails, replying to texts, or scouring Pinterest for ideas for child number three's birthday party next month. 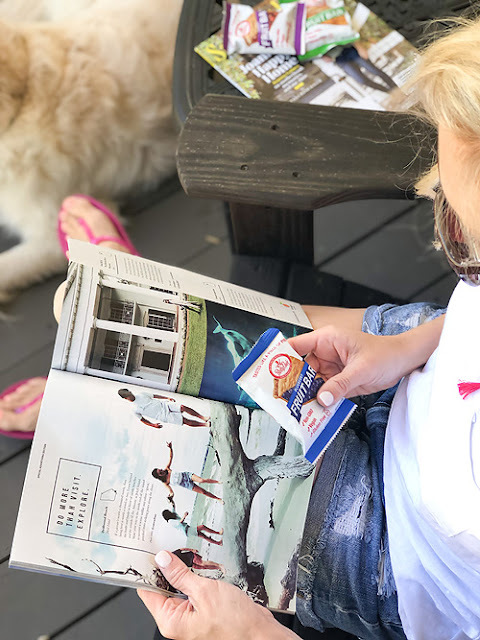 Carrying around our favorite magazines or a book we thought we would never get around to, gave us the chance to take little breaks to enjoy doing something else when we least expected them. Getting to carpool line fifteen minutes early? 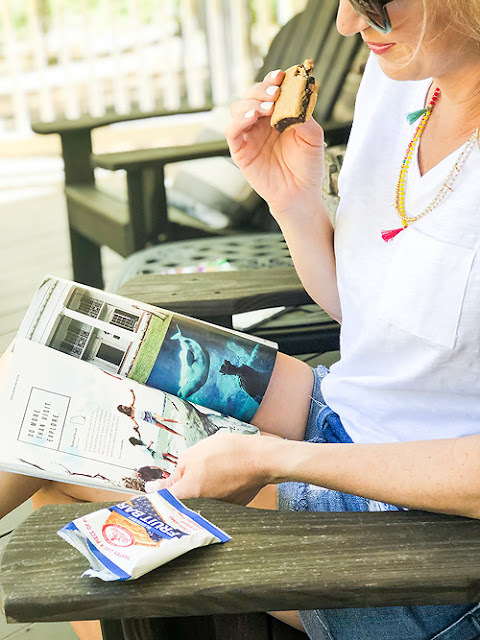 Now we could read our magazine while we ate our snack. Headed to an unexpected doctors appointment with a sick little one? Now we had a book on hand to keep us distracted from all the germs we were surrounded by while we waited. It became easier to sneak in little breaks here and there if we were prepared with things that we enjoy to facilitate those breaks. If you take a peek into our bags, you will almost always notice we carry around a much smaller little bag. This little bag contains our own personal self-care kits. Inside we keep nail polish, nail polish remover wipes, lotion, travel sized dry shampoo, a brush...and you get the idea. You just never know when you have to have and impromptu meeting. Or find yourself with a few extra minutes at the end of soccer practice to give yourself a quick little polish change. 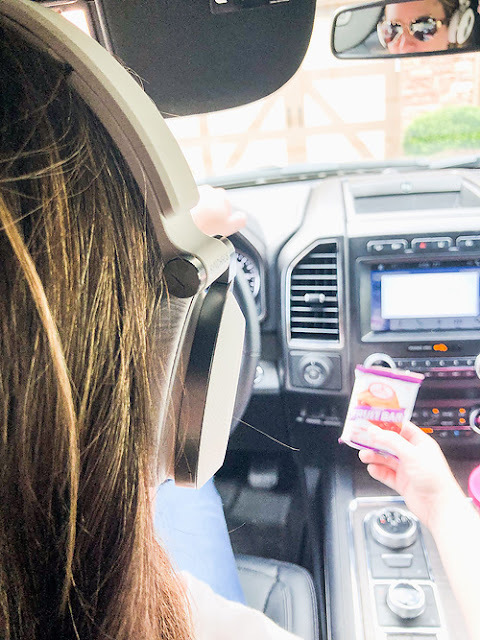 Some of our best manis are done while waiting in the carpool line - because nothing lets your nails dry better than direct air flow from the vents beside the wheel of your car while playing baseball/soccer/dance mom taxi all afternoon. Headphones - more specifically noise canceling headphones - are a must in our mom bags. Laugh if you will, but we aren't the ones listening to that insanely catchy shark song all afternoon, or the same animated princess movie that we can repeat word for word. We simply press play to keep our little ones filled with joy as they sing about turning frozen lands back into summer, and slip on our headphones. Our ears are now filled with our latest audio book, our favorite podcasts, or our favorite 90's rap music that we just can't quit. Bonus: the noise canceling feature also comes in quite handy during those "she/he's touching me!!!" moments that seem to occur on the daily. What are some of your mom-bag must haves?